Do you know who Daniel Bryan is? Bryan is a WWE superstar, who just retired after 16 years as a professional wrestler, most of which was spent setting the independent wrestling scene on fire as an undersized athlete who was mixing it up in a sport that catered to those cut out of the Hulk Hogan and John Cena mold. Bryan was forced to retire due to complications from a neck injury and several concussions over the course of his career. Bryan achieved his fame when he arrived in WWE, but his rise to being one of the greatest WWE superstars of all time hardly was the fairy tale one would hope when you finally get to the top company in the field in which you work. Bryan never was positioned to be a top guy, more of a middle of the pack work horse who could carry other lumbering wrestlers to good matches, earning a better living then he received on the indy circuit and keeping quiet for the next few years while other less talented guys got pushed to the top of the card. Along the way, something happened. That one word changed Bryan's life for the better and made him a top draw in the WWE. Bryan started pointing both hands in the air, with his pointer finger straight up, and yelling "Yes" over and over again, and the crowd bit. Big time. Of course, he actually started saying "no" as a proverbial bad guy, but the crowd ate up the entertainment value, and the rest was history. Bryan was getting cheered louder than the likes of Cena, Randy Orton and Dave Batista, among others. Bryan wasn't supposed to get this popular, and WWE had no choice but to listen to the overwhelming audience reaction to Bryan. Throughout the course of Bryan's time in WWE, the company didn't so much push him as much as the audience wouldn't allow him to go away. But as much as the general audience wants to say the "YES" movement was what made Bryan the best performer in the WWE for the last five years (you could make a case for C.M. Punk as well), it was his ability to win over an audience with not only a gimmick and slogan but a depth of talent and a will to be more than just a small guy that the world of professional wrestling would forget. Gimmicks in relationship to professional wrestling only go as far as the guy who has it. Catch phrases are of the same ilk. Bryan's "Yes" wouldn't have worked if Bryan wasn't likable, a superior athlete and one of the best wrestlers that has ever lived. As much as promoters and wrestling companies have a love affair with guys that weight 300 pounds and are 6 feet 5 inches tall, you can't teach desire. You can't learn how to live and breathe a profession the way Bryan did. He wrestled in front of 70 people and 70,000, and no matter the capacity Bryan gave it the same effort each time. 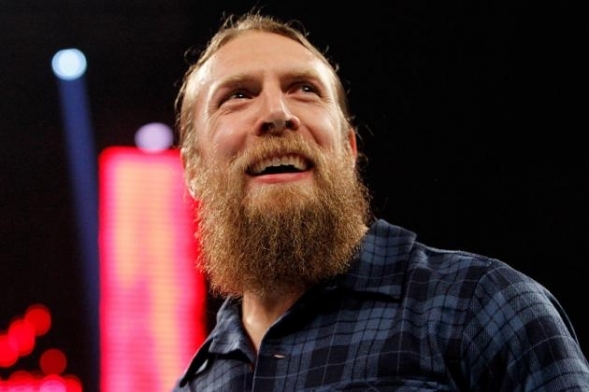 So who exactly is Daniel Bryan, now that his career in professional wrestling is over? He was a wrestler first, one of the "good guys" in and out of the ring, and he'll also be sorely missed as a man who didn't let size or a sport's perception hold him back.